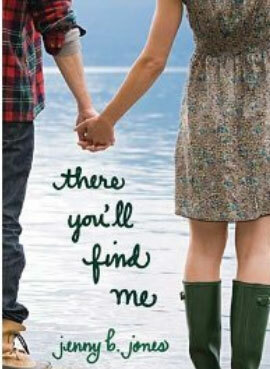 This entry was posted in Books, Reviews and tagged book, Christian, jenny b. jones, review, there you'll find me, YA. Bookmark the permalink. I don’t usually read religious books, mostly because I’m afraid that they’ll wander into boring territory, or sometimes even uncomfortable territory, but it’s good to hear that this one delivered overall! Finley’s characterization is what attracts me the most, because she sounds so realistic. Sometimes even though characters make bad decisions, I feel that those are the things that add to their character and really adds more depth to them. It shows that they aren’t flawed on the outside, but on the inside too, if I’m making sense. They still make mistakes, but eventually they realize them and try to change. Those are the best kinds of characters. And yay for non-preachy Christian content! That’s one of things that puts me off — if things start to get too preachy, I’m just going to roll my eyes or try not to fall asleep while reading. It sounds horrible, but it’s true. I’ve just never felt comfortable about reading religious things, I guess. The flaws in the book don’t sound like major I-want-to-claw-my-eyes-out kind of issues, so that’s good. Passionless romance doesn’t affect me much because usually I’m looking for characterization and plot development, so the romance is more of a side bonus. I know what you mean about wanting more family interactions, though! It’s always so annoying when a character has an actual WHOLE family (even if it’s just a host in this case)… but they don’t interact much with each other. What’s the point? What bothers me most is the meaninglessness. I don’t know if it’s just me, but I would expect a Christian novel to have meaning, so those few chapters are put-offing. Lovely, helpful review all the same, Amy! The novel overall has meaning, but there were a few parts, like the prologue and epilogue, that didn’t seem to serve much purpose. And yes, thankfully the cons were more of minor annoyances than big issues! This is a really fantastic, well-done review! I read this book several years ago and remember having some of the same criticisms as you mentioned. While Beckett has such a swoon-worthy name, his relationship to Finley also read a little flat to me. But, like you said, I still enjoyed the overall story and the growth of Finley’s character. Great review! Thank you! And I agree that Beckett is a swoon-worthy name! The two had potential, but like you said, it fell just a little flat. But it was a good story, and I’m always glad for that. I have a hard time with characters who are grieving over the loss of a sibling — especially if the death was over a year before. Not that I wouldn’t grieve over my siblings, but I just … eh… find it difficult to connect, or have patience with. =/ That being said, it is nice to see that this MC had a decent arc, and that the Christian themes weren’t too in-your-face. I can’t relate because I don’t have any siblings, but I don’t mind that sort of storyline too much. If that’s something you don’t have the patience for though, her grieving might be too much for you. Between that and her trying out to go to a music conservatory, at first it was feeling reminiscent of the Hilary Duff movie Raise Your Voice, but it obviously didn’t actually play out the same. Since I’m a Christian I wouldn’t have minded what some might call in-your-face so long as it was genuine and fitting for the nature of the story, I just really don’t like when the “Christianese” in a book sounds forced or cheesy. Bleh. I don’t think I fully realized that the love interest was a “Hollywood hottie” until I had the book in my hands, and I agree it does sounds a little trite. It was a little annoying how he was like, “That’s just who people think I am, but I’m not really like that!” but then did nothing about it for a while… thankfully he finally put his money where his mouth was! Finley’s not exactly the girl next door either though; you find out in the first chapter that her dad owns all these hotels, so basically she’s a not-dumb Paris Hilton. I read this about a year ago and remember thinking it was really cute. Was there anything cry-worthy in it? Because for some reason I think I cried. (Though I’ve read many a book since then so perhaps I’m just confused.) I’d like to pull this one out and read it again since I obviously don’t remember it well! I didn’t cry, but a book usually has to be pretty intense or emotional to get tears from me. There was a death so that could have been it.